Moving to a new home is certainly exciting, but sometimes, looking through all of the moving companies can be overwhelming. From changing your address to setting up the utilities and everything else that’s involved with moving, the list of things to do seems to be endless. Of everything that’s involved with moving, trying to figure out how to pack up, transport, ship, and/or store all of your belongings is the most daunting aspect of a move. Avatar Relocation can take some of the stress off of your shoulders and make the process of moving into a new homeless taxing and more enjoyable. Our seasoned professionals will execute the most efficient plan to ensure that your move to your new home goes seamlessly. From packing to transporting and from arranging your furnishings in your new space, we’ll take care of it all! If needed, we’ll even arrange for storage, too! Whether you’re moving just a few blocks away with local movers, to the next town or county, or you’re moving to a new state, with Avatar Relocation’s household and long-distance household moving services you’ll have peace of mind knowing that all of your belongings will arrive safely at your new home. When the residents and business owners of Long Island, Queens, & NYC search for “moving services near me”, Avatar Relocation is the first company they call. Specializing in all facets of moving and storage, as well as the logistics and transportation, the experts at Avatar Relocations will take the burden of moving off your shoulders so that you can focus on more important things, like getting set up in your new location. From household items to medical equipment, and from electronics to professional displays and office furniture, our team of professionals will masterfully move and store any and all of your personal and commercial goods safely, quickly, and affordably. Below, we highlight the various services that we offer so that you can learn more about our moving and storage company and find out how Avatar Relocation can meet your needs. Can’t find what you’re looking for? Feel free to give us a call or drop us a line and one of our friendly and knowledgeable representatives will be happy to answer any and all of your questions. When it comes to moving medical equipment, you can’t take any chances; it has to arrive at its new destination undamaged, and that requires tremendous attention to detail. Whether you’re a doctor who is moving the location of your practice or you have recently purchased new machinery for your practice, you’re going to want to hire a reputable medical equipment mover to make sure your tools and devices are as safe as possible. The professional medical machinery movers at Avatar Relocation have received extensive training in moving the most advanced and delicate medical equipment and machinery, including ultrasound and MRI machines, CT scanners, x-ray machines, infusion pumps, medical lasers, surgical instruments, and all other types of medical tools. Not only will our movers ensure that your machinery is transported safely, but we’ll make sure that it arrives on-time. We transport from and to any location within the continental United States, so no matter where your medical equipment needs to be transported, Avatar Relocation will make sure it gets there safely. Has your business recently expanded and you need to relocate to a bigger location? Are you starting up a new venture and need help moving your office furnishings and supplies? If so, look no further than Avatar Relocation, the most trusted Long Island office movers. Our experienced professionals excel at moving all types of office and business-related equipment. Whether you’re moving just a few towns over or across the country, our seasoned professionals will handle all aspects them move for you. Avatar Relocation has years of experience managing commercial and industrial relocations for businesses across all industries, including offices, libraries, laboratories, information technology facilities, and so much more! We’ll arrange all of the details of your move to ensure that the entire project is properly executed. Our crew will devise a customized plan that will suit the unique needs of your business to ensure that your assets are well-protected while they’re in transit. We’ll also take extreme care setting up your supplies at their new location so that your exact specifications are met. You’ll experience minimal downtime, too, which means that your business will be back up and running as soon as possible. Are you in need of warehousing and storage services on Long Island? If so, look no further than Avatar Relocation! 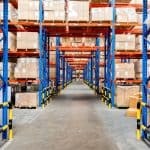 We offer storage services for all types of supplies, equipment, and commodities in the most advanced and secure warehousing facilities on Long Island and in New York City. Our state-of-the-art, climate-controlled warehouses can accommodate all types of products, from office and medical equipment to household furnishings and commercial fixtures and appliances. Our professionals will handle all aspects of your storage needs. We’ll expertly manage all of the logistics to ensure that your products are picked up from their point of origin to our warehouse safely; we’ll also arrange for the shipment of your items from our storage facilities to their new destinations – whether it’s down the street, across the country, or on the other side of the world. While your goods are stored with us, they’ll be held in the most protective environment possible. Our facilities are monitored around the clock and can only be accessed by verified members of our staff. No matter what your warehousing and storage needs may be, you can rely on the unparalleled services that Avatar Relocation provides. Whether you’re moving to a new home, you have delicate medical equipment you need to be transported, you’re changing commercial spaces, or you are in need of warehousing to store your goods, look no further than Avatar Relocation. We are committed to providing world-class services to each and every client that we serve and go above and beyond to ensure that all needs are met. When it comes to Long Island, Queens, & NYC moving, transportation, storage warehouse, and logistics, you should never settle for anything less than the best; when Avatar Relocation is on the job, you can rest assured that you will receive the highest degree of professionalism and security that you need to ensure your property is well cared for while it’s in transit or in storage. To learn more about the transportation, relocation, logistics, and warehouse storage services that we offer, contact us today! No job is too big or too small for our team of professionals. From start to finish, we’ll work with you every step of the way to make sure that you receive the high-quality services that you need. Call 631.775.9815 or visit Avatar-Moving.com to discuss your specific needs and to receive your free estimate! One of our knowledgeable associates will be more than happy to assist you. We look forward to working with you and providing you with the highest quality services possible. With Avatar Your Experience With Us Is One Of A Kind. We Are So Confident In Our Service That We Are Willing To Give You An Estimate Completely On Us. Give Us A Chance, You Will Not Be Disappointed.